These Netflix Facts for 2018 Are Unbelievable! 2018 was a bang! 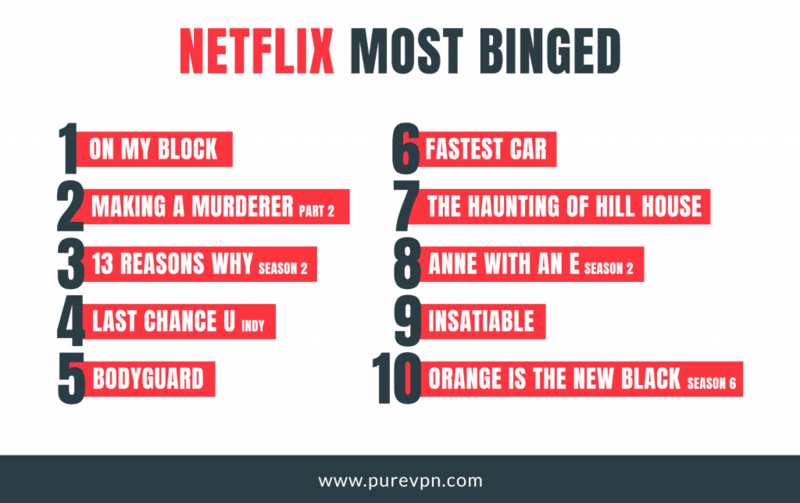 All thanks to the great Netflix TV shows and movies which we binge-watched all year round. 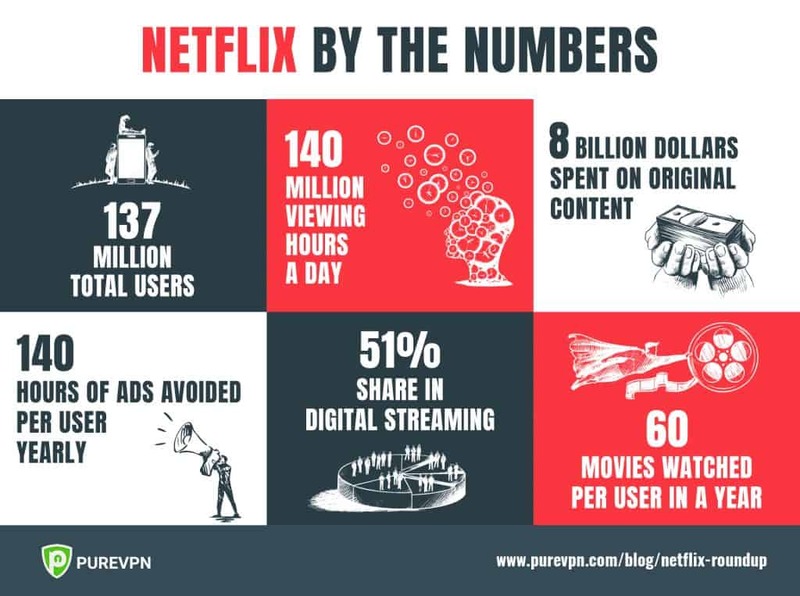 Here are some important facts and statistics for Netflix and its users in 2018. 2018 was another great year for Netflix – the company managed to report a huge uptick in its profits. Estimates and the company’s earning call reports reveal that this year, Netflix added thousands of new members to its service, and reached to far corners of the world (even Antarctica), except a few countries with unstable geopolitical conditions such as North Korea and China. Netflix is all about binge-watching as many episodes as you can in one go. Netflix also realizes this and makes it a point to make all the episodes available in one go, rather than releasing one episode every day. Here the TV shows that Netflix users watched mostly in one go! This should be no surprise. Google was remained a primary source for people who wanted to search for the best Netflix TV shows and movies. Netflix users searched on Google for their favorite TV shows to get their ratings and reviews so as to make up their mind. The following TV shows were searched for the most times. Twitter is go to for most people who want to get in touch with the latest trends, even for those who love scrolling through Facebook. 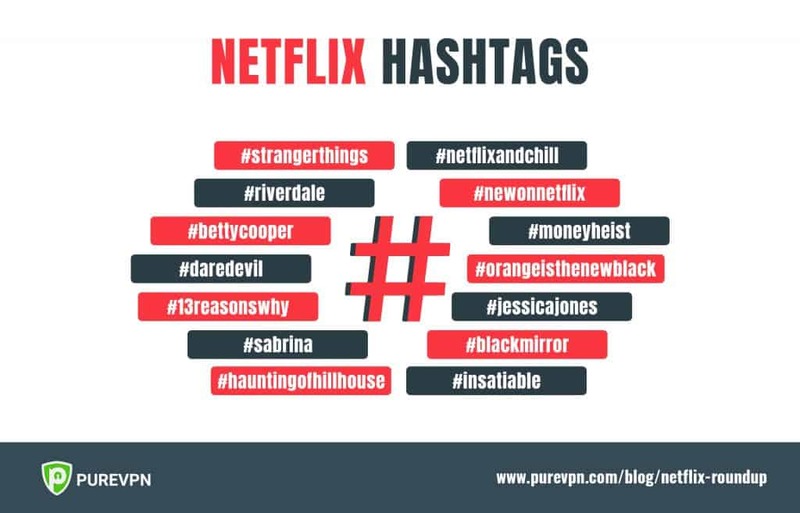 Naturally, Twitter remained abuzz with trending hashtags for Netflix titles as they kept making their way to the streaming service. Having thousands of tweets and millions of retweets, these hashtags made the most noise on social media. This was a bit of a surprise for us. 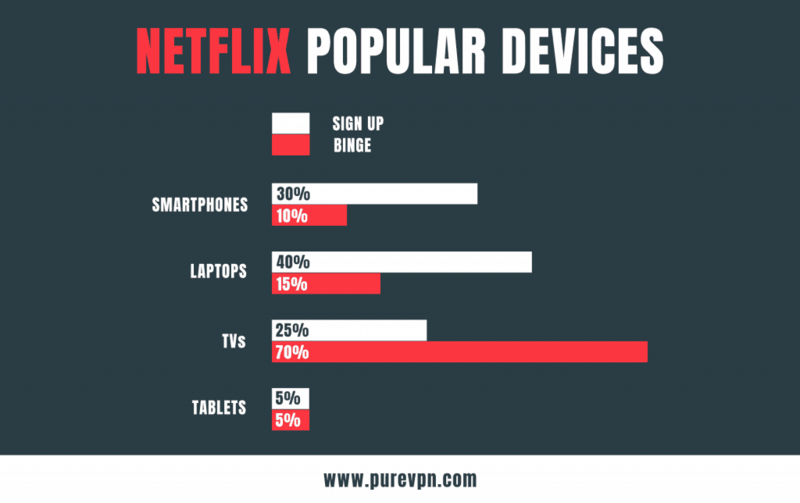 Most people sign up on Netflix using a laptop or sometimes a smartphone. However, very few of them watch Netflix on their sign-up device. After using the service for six months, most users switch to a larger screen such as a smart TV through a set-top box TV or mainly KODI. VPN is widely use with Netflix by people around the world. Till few years earlier, it was used to access Netflix outside America as it was only available in USA. 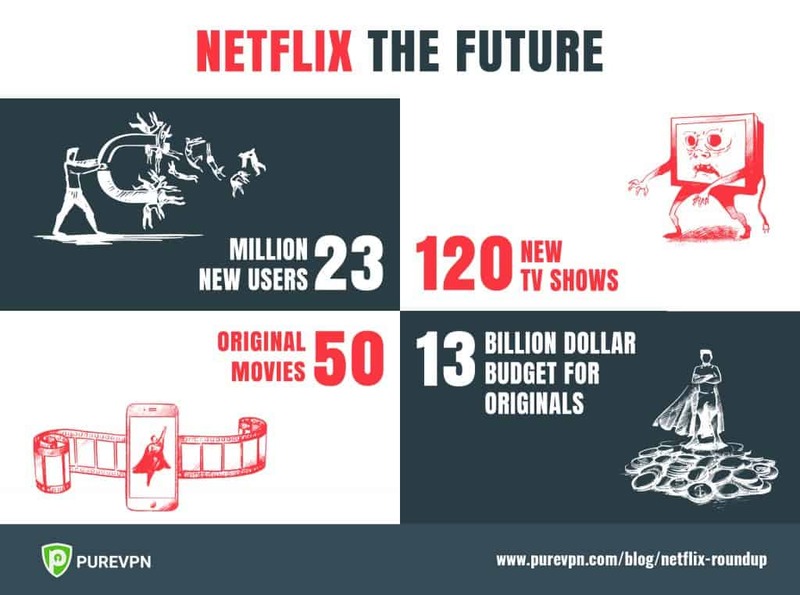 However, since Netflix launched there services in almost every country of the world, VPN is still used to access the unique titles due to geographically restricted content library. Netflix US is 2nd largest library with more demanding shows and movies then any other country. That’s why it is still the main cause of using VPN for Netflix Streaming. Get PureVPN and Change Netflix Region to US and enjoy the Best Collection of Movies and TV Shows. There were people who cheated on the spouse and binge-watched a few episodes alone. Some cheaters cited that their partner slept early on a few nights and they just couldn’t stop watching. Others went as far as hiding in another room while binging! Gear up people. Based on the plans that Netflix has revealed for the upcoming year, it’s sure going to be a great binging experience. Here is what the next year of Netflix will look like.